Alyssa and Carter had a Birthday! We had a busy weekend. Between my niece and nephew’s birthday party (their birthdays are a few weeks apart – this year Alyssa is 8 and Carter is 3) and my first baby shower, I have quite a few photos to share. If you remember their birthday party from last year (and I’m too lazy to find the link), then you might remember the deflatable toys, hot dogs, cupcakes, and lots and lots of children. 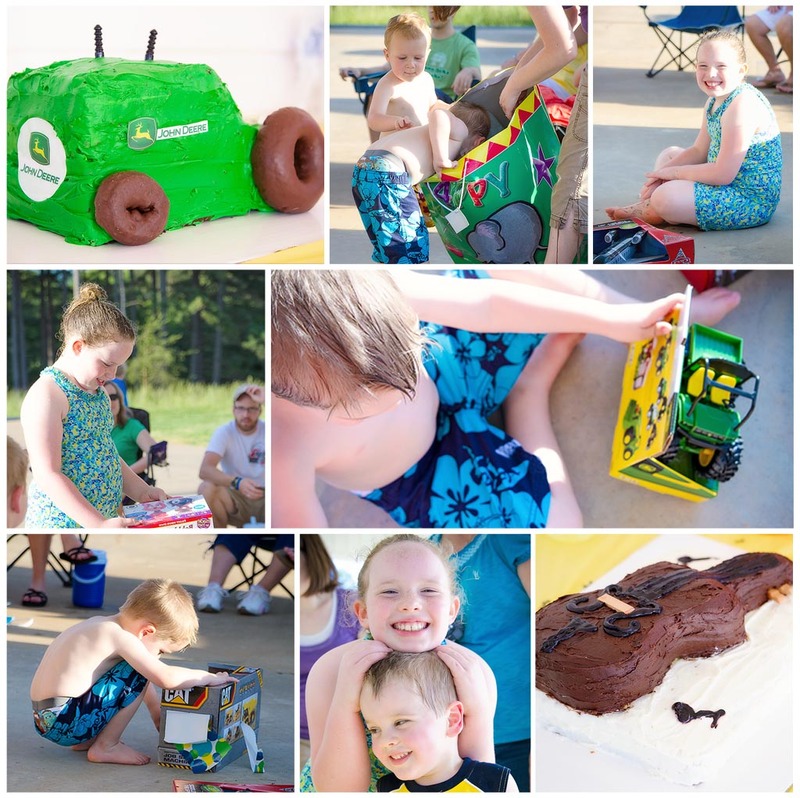 This year, we kept it simple…a tractor and violin cake (Carter loves tractors and Alyssa loves her violin), some family and a few friends, and of course presents. At the end of the day, whether you have a lot of people or just those you love the most – we had an incredible time! Happy Wednesday – come back Friday for some of my baby shower photos.